Al Muratsuchi in the running to retake 66th Assembly District seat. Al Muratsuchi may have been knocked down, but he’s not quitting. The former Democratic assemblymember narrowly lost his seat to Republican David Hadley in 2014 to represent the 66th Assembly District. He is currently campaigning to regain the seat in November. “As the Japanese saying goes, you get knocked down seven times but you get up eight times. I may be knocked down but I’m getting up and moving forward,” Muratsuchi said in an interview with The Rafu Shimpo. 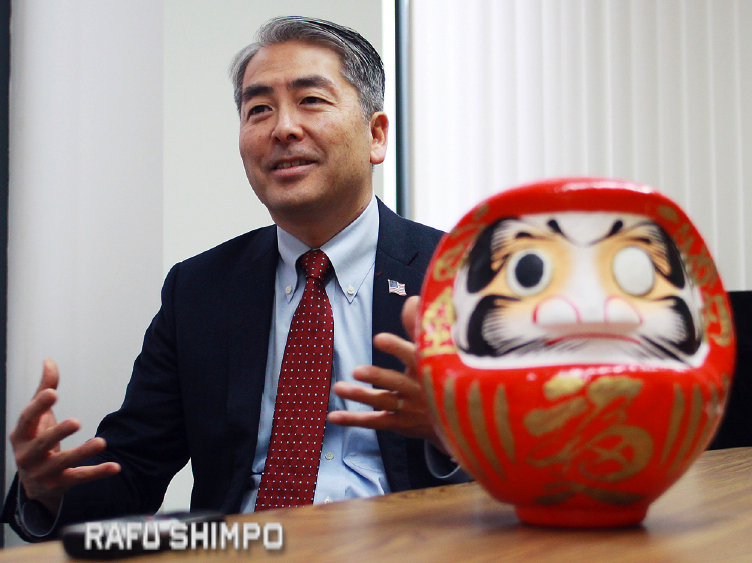 Muratsuchi, who represented the South Bay district for one term, said his loss was less about the issues and more about factors such as voter turnout and a negative campaign financed from outside the district. “There was one man, Charles Munger Jr., who ran a smear campaign to basically buy the Assembly seat for my opponent,” Muratsuchi said. The L.A. Times reported that Munger, a Palo Alto physicist and son of billionaire Charles Munger, spent $890,000 to defeat Muratsuchi in 2014, in addition to $300,000 in support of his opponent. In the last decade Munger has donated $77.8 million, emerging as one of California’s top Republican donors. “It was so close and I felt like it wasn’t because I did anything wrong. Because it’s a presidential election this time, my chances of getting re-elected are very strong. Historically, turnouts have always been higher in presidential election years and lower in midterm years.” Muratsuchi explained. “I’m going to continue to focus on South Bay priorities: good jobs, good schools, a clean and healthy environment. The biggest difference is I’m the only candidate that has an actual record of getting things done, of being a bipartisan problem-solver,” Muratsuchi said. He cited his work as chairman of the Assembly Select Committee on Aerospace, and legislation that supported the development of private space exploration firms such as SpaceX, which is now based in Hawthorne. Muratsuchi is a prosecutor and deputy attorney general with the State Department of Justice. He also was a member of the Torrance School Board and early in his career served as regional director of the Pacific Southwest District of the Japanese American Citizens League. He is one of three Japanese Americans, along with former Assemblymembers Warren Furutani and Mariko Yamada, who are running for State Legislature. Furutani and Yamada are both seeking office in the State Senate. Currently there are no Japanese Americans in state office. Muratsuchi said the one issue he cannot comment upon is the pending sale of Keiro Senior HealthCare’s facilities to Pacifica Companies. His opponent, Hadley, has expressed his opposition to the sale and spoke at a meeting at the Aratani Theatre sponsored by the Ad Hoc Committee to Save Keiro. Muratsuchi works in the Attorney General’s Office, and because of this, he cannot comment, he said. He further explained that as a deputy attorney general, he was not involved in Attorney General Kamala Harris’ conditional approval of the facilities. He did, however, say the Keiro controversy has highlighted important issues in the Japanese American community. “This issue and the uproar that has followed the announcement of the sale has clearly highlighted the ongoing need for culturally sensitive senior health care services, particularly for the Shin-Issei community. The Shin-Issei community is almost half of the Japanese population in the L.A. area,” Muratsuchi said. He also noted that anti-Muslim comments made by presidential candidate Donald Trump point to the importance of Japanese Americans speaking out. “Now more than ever we need more Japanese American politicians to be able to make sure we’ve learned the lessons of internment,” he stated.